Find out why the Obama's administration threatens your right to worship. 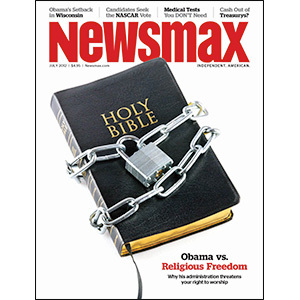 'Holy Bible' Newsmax Magazine July 2012 Obama vs. Religious Freedom: Why his administration threatens your right to worship.